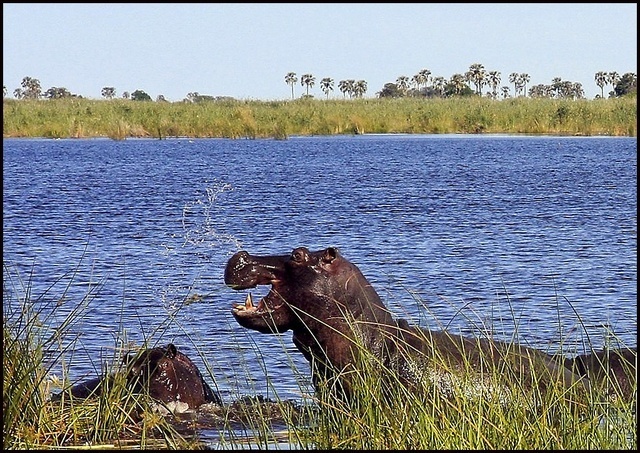 The Savuti area constitutes the western stretch of the Chobe National Park in northern Botswana and is about 50 km north of Mababe. The Savuti Marsh is still evidence of a large inland lake that dried up long ago. Today the Marsh is fed by the erratic Savuti Channel which is currently flowing again and in January 2010 reached Savuti Marsh for the first time since 1982. As a result of this variable flow, there are hundreds of dead trees along the channel's bank. As the bigger Savuti region is also covered with extensive savannahs and rolling grasslands, this section of the Chobe National Park is rich in bird life and especially during the rainy season it's a wildlife haven as animals move in to feed on the lush new grass. Savuti also contains a number of pans that hold water for months after the rains, enabling animals to remain long into the dry season. Of course they are followed by predators. The other part of Savuti are almost desert-like with a scorching sun and hot sand. Savuti also have striking terrain of Gubatsa Hills and dolomite rock outcrops. (Jul-15). 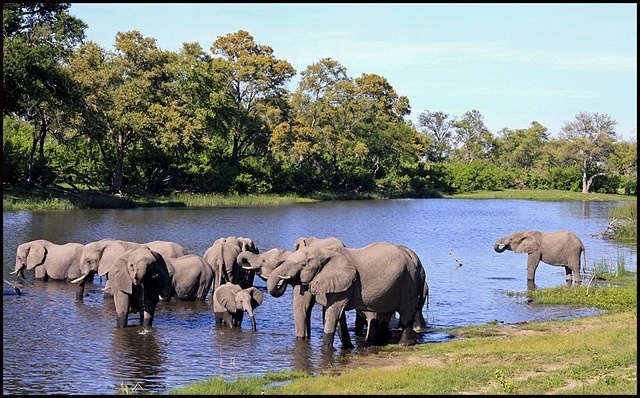 Central Reservations - Botswana Department of Wildlife and National Parks. Park Fees: BWP10 (Citizens); BWP30(Residents); BWP120(Non-Residents).Children half (Updated Jul-15). Lion. Cheetah. Hyena. Leopard. Wild Dog. Elephants. Visit the San rock paintings at Gubatsa Hills. The closest town to Savuti is Kasane, where you should stock-up food supplies and fuel as there are no fuel stop and shops in the Park. Coming from the south, you can also stock-up in Maun. Tracks west of Savuti and the Selinda Spillway can be very problematic due to seasonal water rises. Ensure that you have enough fuel to retrace your tracks if necessary, but best is to get local knowledge shortly before you traverse this area.